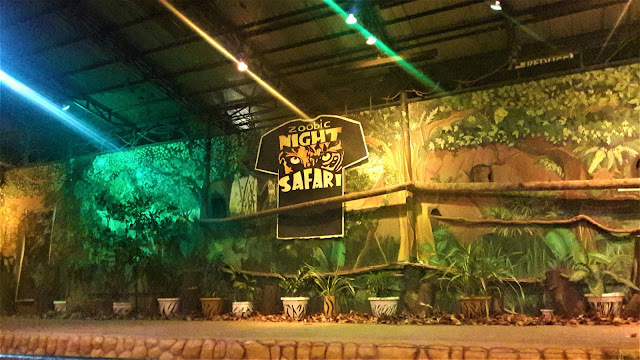 Zoobic Night Safari Show - Watch the night safari show for only 15 pesos this summer! Before the show started, the staffs excited the audience by giving a few Zoobic safari goods through a raffle on the present attendees! 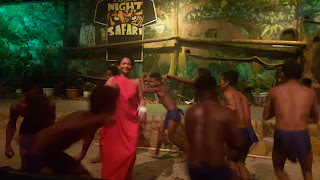 The Zoobic Safari Night Show is divided into four parts - (Part 1) - short storytelling about the culture of the Aetas and the music show of the staffs, (Part 2) - Presentation of the zoo's animals, (Part 3) - Light show, (Part 4) - Fire dance show. Each of the four parts got its own distinct style so each part would make you look forward to the next one! The Aetas culture was hugely highlighted on the first part and I'm happy about it. 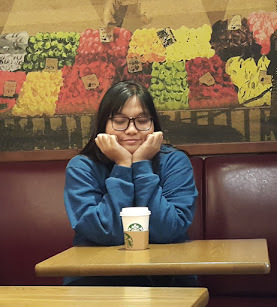 It's my first time to learn something about their culture so I find everything interesting. 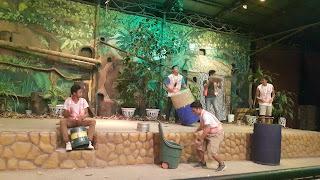 The next part is the short musical performance wherein the staffs used recyclable materials and encouraged the audience to join their performance as well! 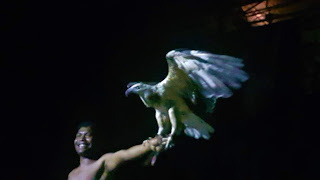 The second part is the animal show, if you've seen the viral animal show night safari in Singapore, then you must see this night safari show from Zoobic Safari as well. The animals have their own special appearances on stage aside from the presentation together with the Aetas. Turn off all the lights and flashes as the third part is all about party sounds, light performances and fun dance performance on stage! 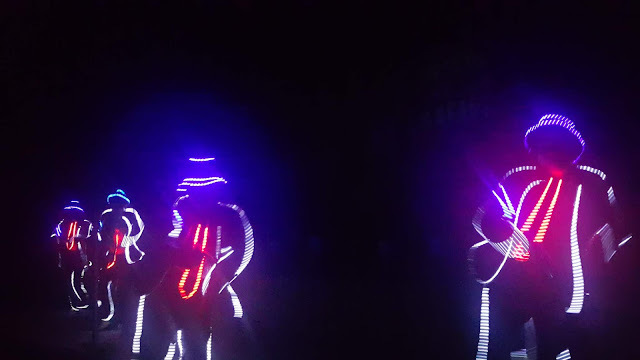 Which iconic artist do you think is the one that the performers were portraying? That's for you to find out in the show! The last part literally fired up the stage and blow our minds away. The fire show heat up the night when they started dancing having only the fire coming from their stage materials lighting up the venue. I must agree that you won't distinguish that they aren't pro fire dancers until they revealed that they aren't. 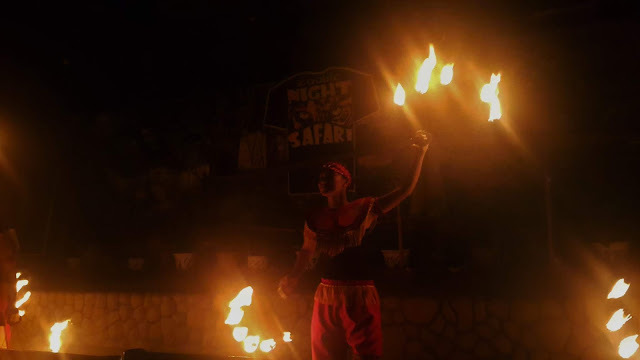 The fire show capped off the Zoobic Night Safari. The dancers were a part of the Zoomanity staffs and they are not professional fire dancers so watching them perform like pro only means they've worked so hard to give everyone an amazing show! 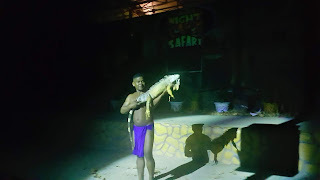 These are just the highlights of the Zoobic Night Safari show but there's plenty more that you should find out by yourself. 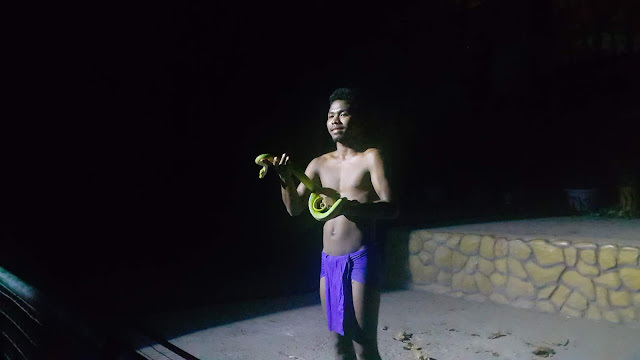 Also, I highly suggest that you also give donations to the Aetas and the performers if you enjoyed the show, something that I could guarantee when you see the show yourself. Truly, it is world class. 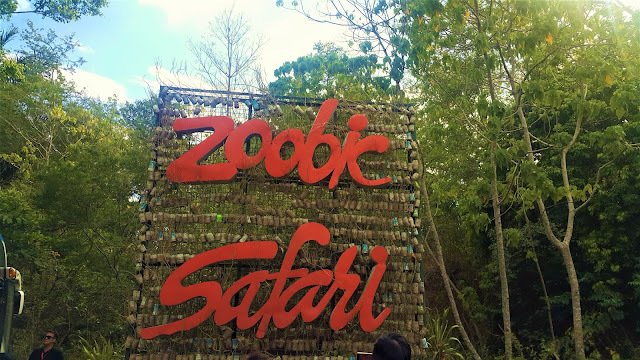 If you are visiting Subic soon, never miss the chance to visit Zoobic Safari too! Zoobic Safari is run by the Zoomanity group which aims to showcase various exotic and farm animals in their natural habitat yet enabling the guests to have an animal encounter experience not found elsewhere in the Philippines and in the world. Truly the happiest place! 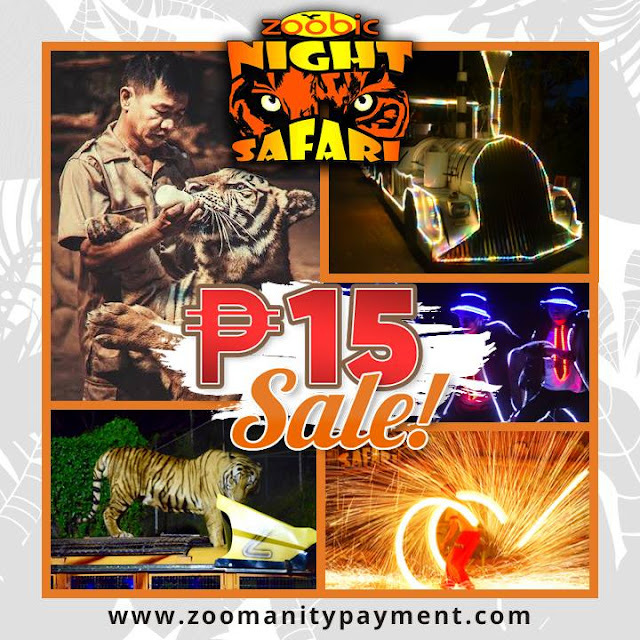 Zoobic Safari is celebrating its 15th year anniversary with NIGHT SAFARI 15 PESO SALE promo! Buy 1 Zoobic Night Safari Ticket at regular rate and get the next one at only P15! Promo valid only every Saturday, until May 25, 2019 - from 5pm onwards.